Do you ever find something and wonder to yourself why you did not think of this? Why didn’t I invent this? That is exactly what I think every time I find an amazing kitchen hack! The kitchen is one place I really need help in. Yes, I’ve got the meal planning under control but there is so much more to life in the kitchen. I am currently in love with these paper towels with Dawn built-in. When I first saw them I was like WHY DIDN’T I INVENT THIS. Hello! As a mom have you not thought of this before? BRILLIANT! Dish washing liquid already in the paper towel. These make dish clean up so much easier, especially when I am just wiping them down to put them in the dishwasher. We’ve also used them to clean up stick spills, messy spots in the kids’s rooms, wipe down the furniture, the list goes on and on! 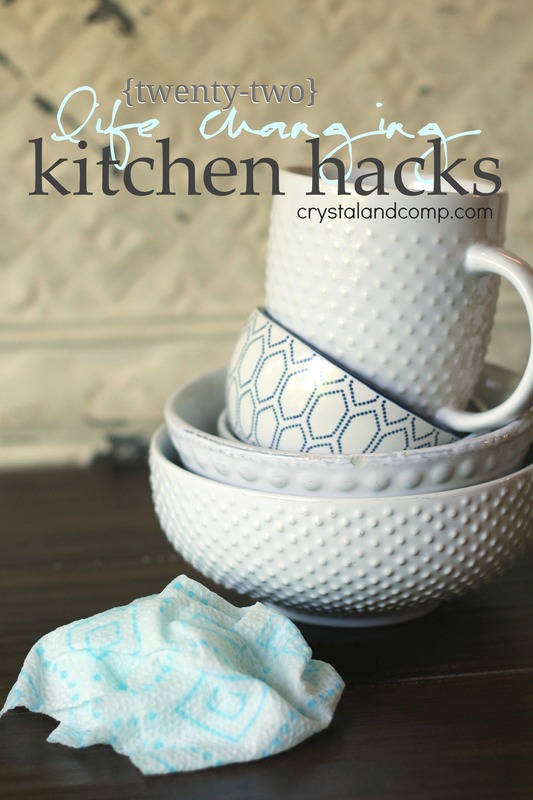 Here are over twenty of the best kitchen hacks you will find online! These include ways to make life so much easier in the kitchen! What is your best kitchen hack? What is helping you save time in the kitchen? Great to have all of these tips rounded up in one easy to find place. I like the banana one and the clean the microwave one. Pinning! Seriously, that is the EASIEST way to clean your microwave. You will love it! Thanks for these great hacks! I have some research to do!!!! I’m especially needing help to keep bananas fresher longer. More smoothies!!! We love smoothies in the spring and summer. Time to bring out the blender! We just started freezing our herbs, haven’t needed to use them yet so I’m still waiting to see if it’s a good one for us haha. There are definitely some other things I need to check out on your list. Great list!! I too love the idea of freezing herbs. Otherwise they go bad so quickly. Off subject but I’m dying to know where the bowls and mig are from the in picture?? Thank you! Each of those came from Target. The one with the blue on it is a small dipping bowl from their current spring patterns. All of the white ones are from last year but I bet they still have them. All of my dishes are super mixed and matched. I like it that way. I like being able to buy one of this and one of that. Great collection of tips!! I’ve seen those bounty towels 8n the store and it’s such a good idea!! Also LOVE the egg whites tip! 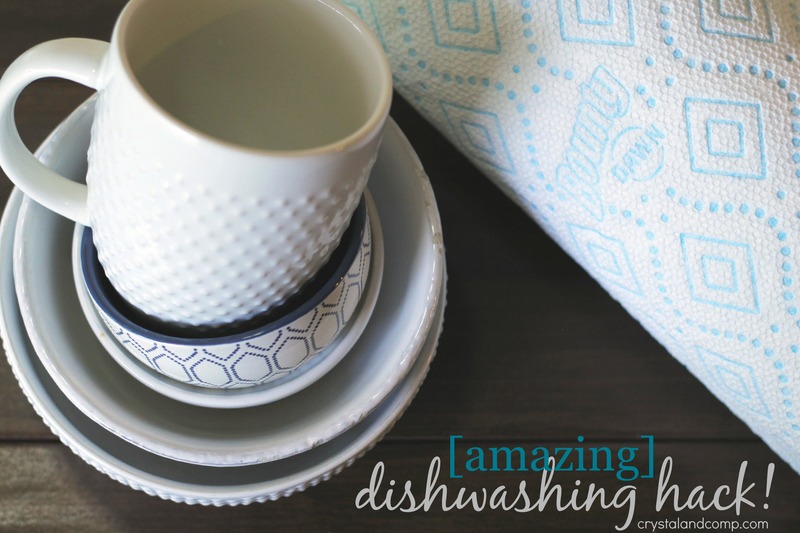 I am always looking for easier ways of doing things around the house (hence the name of my blog!) Great list, thanks for sharing! Oh my gosh, I so needed these! The difficulty with peeling hard boiled eggs especially. Can’t wait to give these a try.